Paint is regarded as a liquid that, once applied to a substrate, converts to a solid film. Paint is used in almost all industries, from construction to art, for many purposes, like decoration, protection, identification and sanitation of objects. 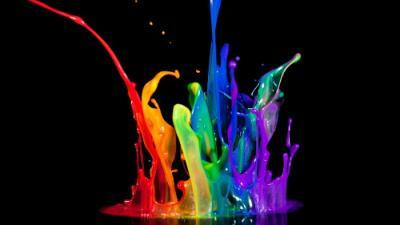 Paint can be made in many colors and in many different types, such as watercolor, synthetic, etc. Paints typically consist of pigments/fillers, binders, solvent and additives. Pigments are granular solids incorporated in the paint to contribute color. Fillers are granular solids added for the purpose of giving toughness, texture and other special properties, or to reduce the cost of the paint. Alternatively, some paints contain dyes instead of or in combination with pigments. Pigments usually divide into two group: ‘Prime Pigments’ that include pigments like Titanium Dioxide (white), Chrome Green Oxide, Yellow and Red Iron Oxides, etc. and ‘Extender Pigments’ that include Calcite (Calcium Carbonate), Talc (Magnesium Silicate), Mica, Barytes (Barium Sulphate), etc. Binders are the film-forming components of paint. It is the one component necessary for the functionality of paint, which also imparts properties like durability, texture, flexibility and more. Binders include synthetic or natural resins such as alkyds, acrylics, vinyl-acrylics, vinyl acetate/ethylene (VAE), polyurethanes, polyesters, melamine resins, epoxy, or oils. Solvents act as a carrier for the pigments and binders. They also adjust the viscosity of the paint and control flow and application properties. Solvents are volatile substances that impart their properties temporarily—once the solvent has evaporated, the remaining paint is fixed to the surface. Water is usually used as the diluent in waterborne paints, and oil-based paints (also referred to as solvent-borne) may use various combinations of organic solvents as the diluent, including aliphatics, aromatics, alcohols, ketones and more. Additives enhance certain properties such as ease of brushing, mould resistance, pigment stability, control foaming, scuff resistance, drying and sag resistance. A wide variety of additives exists, and they are usually added in small amounts (but have a significant effect on the product). 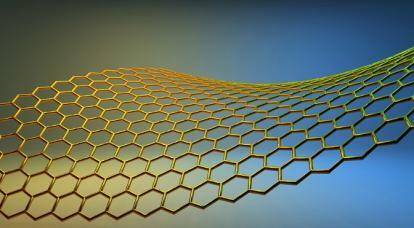 Graphene is a single, tightly packed layer of carbon atoms arranged in a hexagonal honeycomb lattice. It is the thinnest compound known to man at one atom thick, the lightest material known, the strongest compound discovered, the best conductor of heat at room temperature and also the best conductor of electricity known. It also has unique optical properties while being transparent and light. From the minute single-layer graphene burst onto the science scene, the possibilities for the promising material have seemed nearly endless. Its multitude of extraordinary properties won it the name “wonder material” and scientists believe it has the potential to truly revolutionize entire fields like electronics, energy, medicine and more. Graphene's myriad of exceptional qualities can open the door to many interesting types of paints and coatings. Graphene's high resistivity can make for durable coatings that do not crack and are resistant to water and oil, its excellent electrical and thermal conductivity can be used to make various conductive paints, and a strong barrier effect can contribute to extraordinary anti-oxidant, scratch-resistant and anti-UVA paints. Graphene enables a wide array of functional paints, for many possible applications. Among these can be high performance adhesives enabled by graphene's high adhesion property, anti-bacterial coatings, solar paints (capable of absorbing solar energy and transmitting it), paints that provide isolation for houses, anti-rust coatings, anti-fog paints and UV ray blockers, non-stick coatings for various domestic applications (like frying pans and countertops) and even a much-hyped possibility (currently under scientific examination) of a coating that turns a regular wall into a screen. UK-based Applied Graphene Materials is collaborating with US paint company Sherwin-Williams Protective and Marine Coatings, and corrosion management operation TWI Limited, in a venture to develop graphene-based anti-corrosion paints. The companies added that the scheme could have a major impact on corrosion, which is estimated to cost the UK economy about £10 billion every year in repairs on equipment used in the construction, petrochemical and transport sectors. AGM stated that it is looking at adding graphene in different formulations and one they have identified is on ships’ hulls, below the water line, to protect them from corrosion. The graphene enhanced paint should also increase lubricity of the hull, which will have benefits for increasing fuel efficiency and increasing speed of passage through the water. 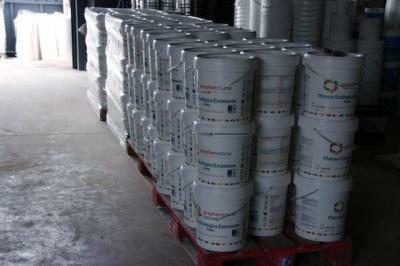 The Spain-based Graphenano launched a graphene-based paint called Graphenstone in 2014. This paint is said to be very strong and it also acts as a protective layer against environmental damage. Graphenstone is made from a graphene powder and limestone powder. In August 2015, Manchester University has teamed up with Amsterdam-based paints and coatings company Akzo Nobel, to investigate graphene oxide-based paints that provide protection against rust and corrosion for large metal structures, such as oil rigs, tankers and bridges. In October 2014, researchers at the University of Manchester developed a new coating made from graphene-oxide that can be used to enable ultra-strong non-corrosive coating paints, hermetic food packaging and even a good substrate for flexible electronics. The material behaves like graphite in terms of chemical and thermal stability but becomes very strong mechanically. In September 2013, researchers from the Rensselaer Polytechnic Institute developed a graphene-based coating that can be used to make rough surfaces more water resistant. Those new graphene "drapes" are less than a nanometer thick and are optically transparent and chemically inert. In fact, the drape is simply a single graphene layer. The researchers say this new coating can be used to make better lab-on-chip devices, self cleaning surfaces and other applications that need the motion of liquid drops on surfaces. In September 2012, researchers from Monash University and Rice University developed a thin graphene film anti-corrosion coating. Their new coating can maker copper more resistant to corrosion - almost 100 times better than uncoated copper. According to the researchers, that's the best graphene-based anti-corrosion material developed yet.